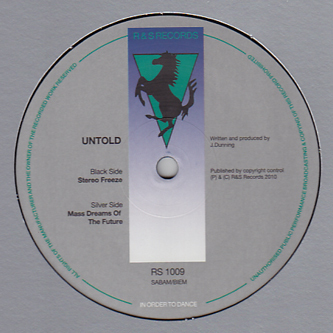 Making a power move into the world of House and Techno, Untold drops two sides of Detroit-inflected techno for R&S. While he's clearly flirted with the idea on the Roska collab 'Myth' and the awesome 'Gonna Work Out Fine' EP, this is his most damagingand deadly punt into 4/4, albeit with super heavy subs. 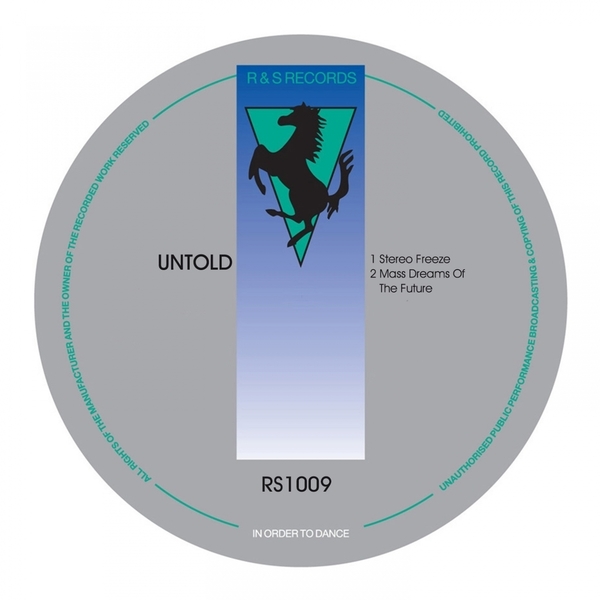 'Stereo Freeze' arranges haughty Chicago snares and optimised acid sequences with the kind of subbass levels that makes you catch your breath, resulting in one of the meanest UK Bass fusions out there. On the flip he makes a nod to label mate Model 500 or UR with chunky square bass and rugged rolling House patterns, also quite compatible with the likes of Slakk's eski-house riddims or the tuffer end of technoid Funky and Dubstep. It's just great to see/hear stuff like this on a platter marked with the raring black stallion! HEAVY.